In 1969, a Festival would make history on hippie and rock music and Cultural Revolution worldwide. 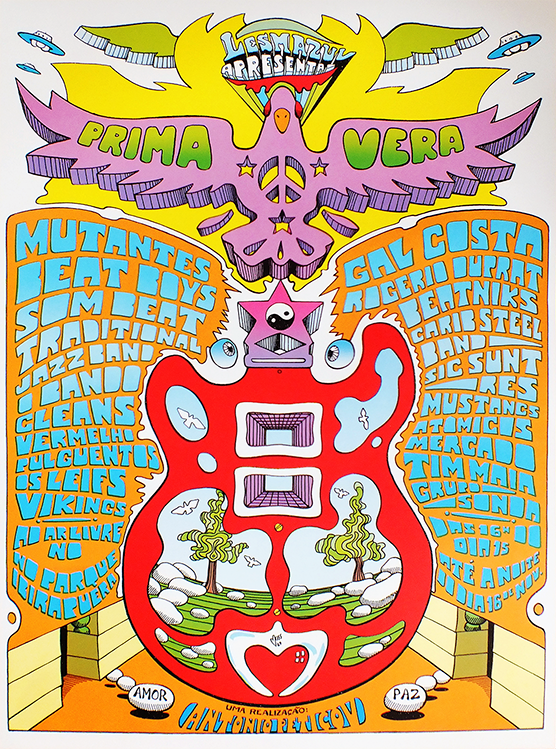 Antonio Peticov and Alain Voss and their agency called “Lesma Azul” (Blue Slug), would announce Os Mutantes, Gal Costa, Leif´s, Tim Maia, Beat Boys, Beatnicks, Duprat, among others for the Primavera (Spring) Festival in the Brazilian Summer of Love, with all psychedelic powers combined. 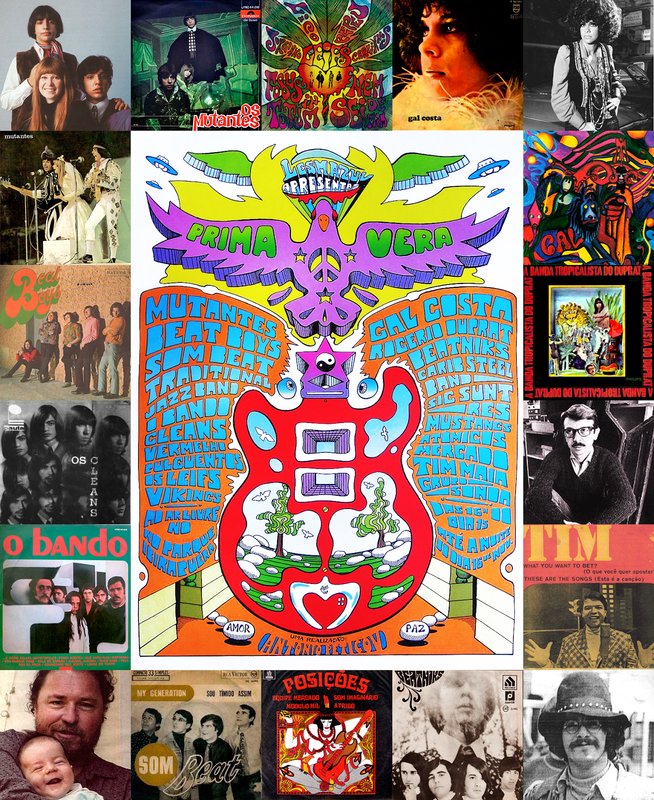 This incredible artwork from 1969 is the top poster art from the Brazilian Psychedelic Movement, reproduced in great quality and fully approved and supervised by its original creators. This reissue poster print by Psych BR posters in 2014 has the original size maintained of 23,8 x 17,3 inches, printed with lithography technique on highest matte paper quality for best results is shipped rolled into a protected box. 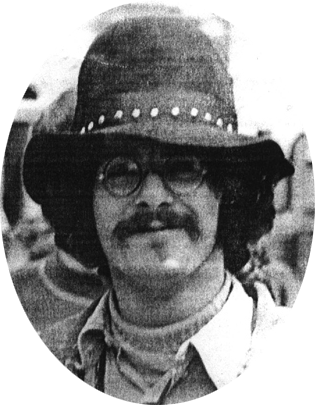 Antonio Peticov is a Brazilian worldwide known artist but also, was a fertile cultural producer and a lysergic pioneer in the Sixties, being responsible for producing several festivals along with managing new bands, especially one of his own creation: Os Mutantes, from their beginning to stardom. Antonio initiated on art since he was 12 years old and was pioneer working with decorative posters having a fancy store with his brothers in São Paulo in the sixties. Peticov showed to Caetano Veloso and Gilberto Gil the next influential artists that would influence brazilian music, Janis Joplin and Jimi Hendrix, till that day in 1968 unknown to most brazilians. In the seventies while in Europe he continued his saga with festivals, he participated as audience in the Isle of Wight in 1970 with the Brazilian group lead by Gilberto Gil and Caetano Veloso with others. In 1973 Italy, Antonio Peticov co-produced The Re Nudo Pop Festival, known as the Italian Woodstock, together with a great Italian psychedelic visionary artist, Matteo Guarnaccia. 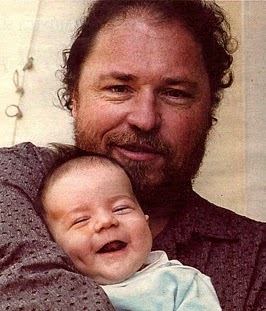 Peticov made global success with his paintings and art, gaining reputation as “the rainbow’s painter”, due to all colors in his work. His work and artistic installations exhibited in New York Art Expo, Bienal Internacional de São Paulo and major cities as London, Milan, Paris, Tokyo, Hong Kong and has published several books with his artwork. Alain Voss is a French/Brazilian legendary illustration artist, who printed his psychedelic style over the Primavera Festival poster with colors and iconic symbols of peace, love and music. Besides illustrating for advertising, he joined his friend Antonio Peticov on the agency Lesma Azul (Blue Slug) to promote festivals and music. Alain Voss illustrated many album covers for different labels, but especially has made two greatest covers for Mutantes albums: “Jardim Elétrico” in 1971 and “Os Mutantes e Seus Cometas no País Dos Baurets” in 1972. In Europe he published many comic books for Metal Hurlant in France, working side by side with Moebius, Enki Bilal and Richard Corben, among others. His work was published on american Heavy Metal magazine, brazilian Monga magazine and in other countries printed as special editions. In 1989, Alain Voss won the first prize of best illustration artist from Trofeu HQ Mix´s first edition in Brazil and in the following year he won as best work exhibition. Bands represented: Os Mutantes, Gal Costa, Beat Boys, Rogerio Duprat, Som Beat, Beatniks, Tradicional Jazz Band, Carib Steel Band, O Bando, Sic Sunt Res, Cleans, Mustangs, Vermelho, Atômicos, Pulguentos, Mercado, Os Leifs, Tim Maia, Vikings, Grupo Sonda. *English transcription with rare photos, poster sticker, handbill and certificate by Psych BR.